Ended with a celebration—a celebration of the effort, learning, and results. From that time forward, we used the terms focus, finish, and celebrate as the way we were committed to doing business. The focus component was anchored by our belief in the power of the people; the importance of a vision that is understood and supported by all employees: collaboration and delegation. The power of the people was unleashed through our commitment to relationship building by connecting with our people through trust based on competence and caring. This entailed making ourselves available within the workplace. Many times I wandered around on a daily basis, learning about the lives our people had outside the workplace, including their families, interests, and hobbies. These things strengthened our foundation for strong interpersonal relationships. Once I knew what was important to my people, it helped me focus on what I could do to help them in the most meaningful way to demonstrate my true desire to have a caring and supportive work environment where they received our best effort daily. As I developed this foundational relationship, I took the opportunity in my “wandering around” time to ask their opinions about the work we needed to accomplish and shared our experience in dealing with similar issues in the past. This allowed me to build their confidence in my competence. 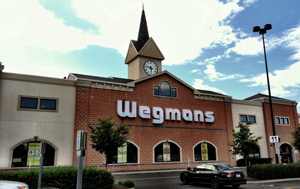 Servant leadership was our operating strategy—Wegmans believed we worked for our people, not the other way around! This was a profound piece of insight and is something I encourage other leaders to begin, or continue, in your position immediately. Additionally, in the focusing process, Wegmans was committed to living its values, demonstrating its commitment to diversity of thought and living an unwavering commitment to ethics every day. Visioning was anchored by being passionate, innovative, imaginative, courageous, communicative, discerning, and always looking ahead. As the leader of the group, the visioning process was a crucial juncture for me to help the group understand my passion for a particular initiative, hopefully selling them that the direction I was communicating was indeed an innovative and imaginative path to support corporate objectives and the needs of our customers. It was critical to receive their agreement and commitment since it allowed dreams to become reality. Once agreement was attained, collaboration among the team members was achieved through motivation, influencing, and teamwork. I quickly learned that Wegmans’ people were highly motivated in completing tasks in which they had a part in deciding on the objectives. Possessing an ability to demonstrate the skill of influencing versus control proved critical. In the team environment that is prevalent in today’s business landscape, it is imperative to facilitate collaboration of many groups on the horizontal axis of the company’s organizational structure. We managed a multi-million dollar project in which we needed to bring together resources from information technology, marketing, finance, legal, development, merchandising, human resources, distribution, supply chain, store operations, and multiple outside consulting resources as well as governmental agencies. Our goal was to successfully execute the expansion of our ability to service a planned geographic growth of the company. This initiative provided a real example of how important it is to be able to influence multiple disciplines as you navigate a project along the horizontal axis of your company. 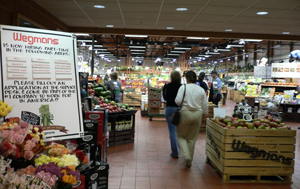 Finally, as part of the vision process, Wegmans was committed to delegation through challenging and empowering people, enabling them to do as much as they could as soon as they could. This allowed our people to grow at the maximum pace with which they felt comfortable. The finish component included internal and external cross-functional teamwork, focus on continuous improvement, seeking clarity of ownership, agreeing on critical milestones, encouraging risk taking, respecting progress, and exhibiting patience with the process. Many objectives were accomplished with teams of people inside the company and, in many instances, these teams included supplier representatives. We initiated a project to completely restructure a functional area of our supply chain, which involved significant organizational design changes and a major software installation. As is not uncommon in business today, this project took three years to complete. The lessons we learned about remaining disciplined in the finish processes outlined above were critical; in this timeframe, the executive sponsor as well as many team members were promoted or shifted responsibilities, and the external partner went through multiple business situations that affected the project. In the end, we were rewarded by the fact that we had documented the critical milestones agreed upon at product inception, and the continuous monitoring of the work proved critical: What was measured was completed! In addition, respect and patience with the team through the execution and completion of the project was crucial. Celebration, by its very nature, is enjoyable as well as critical! Wegmans was committed to mandating fun in the process by giving the team the credit, offering genuine thank you’s, sharing and documenting things learned as well as successes through debriefing, evaluating our people development process, and begin the focus process anew! Teams always had the opportunity to present a project for approval to the company executives, and they were always allowed to give updates along the way as well as present the celebration of the completed project. A situation I will always remember was in conversation with one of my direct reports. One day we started talking about appreciating people and their efforts, and this person shared that over multiple years, they had stored every small note I sent about appreciating different things they had done in a computer file. I was flabbergasted, and have to admit that from that day forward, I sent a lot more thank you notes! We were indeed committed to all participants growing in the process and having fun. Commitment to this strategic leadership process formed a solid result in growing our people, providing incredible service for our customers, and executing business objectives. I urge you to adopt the process of focusing, finishing, and celebrating in your workplace today! Mike Bargmann retired from Wegmans Food Markets as a Senior Vice President and the Chief Logistics Officer in 2007. He worked with 2,300 employees to provide incredible service from source to consumption in transportation, storage, manufacturing, and electronic commerce activities. Mike spent 40 years with Wegmans, the initial 10 years of which were in retail. As a past chairman and committee member for 30 years, Mike has been heavily involved at the Food Marketing Institute guiding their distribution and logistics initiatives. He has spoken at multiple industry events over the years relating to transportation, storage, and electronic commerce. He enjoys golfing, traveling, and spending time with his family and friends.